Breznik, D., (1967), “Sterility of first marriages”, Population, no. 1, p. 41-50. Brown, P., Martin, P. and Scullion, L., (2014), “Migrant Roma in the United Kingdom and the need to estimate population size”, People, Place and Policy, vol. 8, no. 1, viewed 19 March 2017, https://goo.gl/NdpE94. Cloke, P. and Cook, I. (2002) (eds. 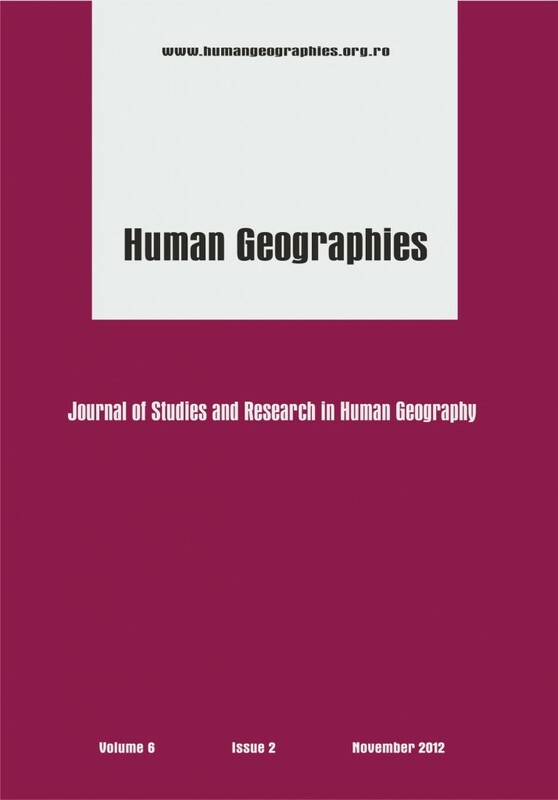 ), Practicing Human Geography, Sage Publications. Clough Marinaro, I. (2003), “Integration or marginalization? The failures of social policy for the Roma in Europe”, Modern Italy, vol. 8, no. 2, p. 203–18. Clough Marinaro, I., (2015), “The rise of Italy’s neo-ghettos”, Journal of Urban History, vol. 41, no. 3, p. 368–87. Clough Marinaro, I., (2017), “The informal faces of the (neo-)ghetto: state confinement, formalization and multidimensional informalities in Italy’s Roma camps”, International Sociology, vol. 32, no. 4, p. 545–62. Creţan, R. and Powell, R. (2018), “The Power of Group Stigmatization: Wealthy Roma, Urban Space and Strategies of Defence in Post-socialist Romania”, International Journal of Urban and Regional Research, vol. 42, no. 3, p. 423-441. Di Giovanni, E. (2007), “Childhood in a roma/gypsy camp in south-Italy: an anthropological perspective”, International journal about Parents in Education, vol. 1, no. 0, p. 245-251. Dragović, V.A., (2009), “Low fertility, policies and quality of life in the Republic of Macedonia”, Review of Social Policy, vol. 1, p. 133-146. Dragović, V.A. (2009), “Some factors of lowering fertility in the Republic of Macedonia”, IUSSP 26th International Population Conference, 27 September – 2 October, Palais des Congrès, Marrakech, Morocco. European Commission, (2011), Improving the status of Roma: a social and economic imperative for the Union and its member states, Brussels. European Commission, (2004), The situation of Roma in an enlarged European Union, Brussels. Filčák, R. and Steger, T. (2014), “Ghettos in Slovakia: the environmental exclusion of the Roma minority”, Analyse and Kritik, vol. 36, no. 2, p. 229–50. Fraser, A. (1995), The Gypsies, Blackwell Publishing Ltd., Oxford, United Kingdom. Gabel, S.G. (2009), “The growing divide: the marginalization of young Roma children in Bulgaria”, International journal of social welfare, vol. 18, p. 65-75. Gamella, J.F. (2018), “Marriage, Gender and Transnational Migrations in Fertility Transitions of Romanian Roma Women. An Ethnographic Case Study”, Intersections. East European Journal of Society and Politics, vol. 4, no. 2, p. 57-85. Goldstein, J.R., Lutz, W. and Testa, M.R. (2003), “The emergence of sub-replacement family size ideals in Europe”, Population Research and Policy Review, vol. 22, p. 479–496. Greene, E.M. and Biddlecom, E.A. (2000), “Absent and Problematic Men: Demographic Accounts of Male Reproductive Roles”, Population and Development Review, vol. 26, no. 1, p. 81–115. HERA, 2018, Campaigns, viewed 5 March 2017, https://goo.gl/btMEE9. Janky, B. (2006), “The Social Position and Fertility of Roma Women”, in I. Nagy, M. Pongrácz and I.G. Tóth (eds. ), Changing Roles: Report on the Situation of Women and Men in Hungary 2005, TÁRKI Social Research Institute, Budapest. Josipovic, D. and Repolusk, P. (2003), “Demographic Characteristics of the Romany in Prekmurje”, ActaGeograpfica Slovenica, vol. 43, no. 1, p. 127-147. Jaksić, B. and Basić, G. (2005), The art of living: where and how do the Roma live in Serbia, Institute of Philosophy and social theory, Belgrade. Jovanovich, A. (1998), Fertility and Family Planning in the Republic of Macedonia, Metamorfoza, Skopje. Knežević, A. (2010), Roma (Gypsies) in Belgrade – Ethnodemographic Studies, University of Belgrade, Faculty of Geography, Belgrade. Kohler, H.P. (1997), “Learning in Social Networks and Contraceptive Choice”, Demography, vol. 34, p. 369–383. Kohler, H.P. (2001), Fertility and Social Interactions: An Economic Perspective, Oxford University Press, Oxford. Lucassen, L. and Willems, W. (2003), “The weakness of well-ordered societies. Gypsies in Western Europe, the Ottoman Empire and India 1400-1914”, Review, vol. 26, no. 3, p. 283-313. Madjevikj, M. (2000), “Demogeographic analyses of the population natural change in the Republic of Macedonia”, PhD Thesis, “Ss. Cyril and Methodius” University – Skopje, Faculty of Natural Sciences and Mathematics, Institute of geography, Republic of Macedonia. Madjevikj, M. (2004), “The birth rate of the population in the Republic of Macedonia”, Geographical reviews, no. 38/39, p. 75-88. Madjevikj, M., Apostolovska Toshevska, B. and Ljakoska, M. (2016), “Regional differences in the population natural increase in the Republic of Macedonia”, Journal of the Geographical Institute “Jovan Cvijić”, SASA, vol. 66, no. 3, p. 417-431. Maestri, G. (2014), “The economic crisis as opportunity: how austerity generates new strategies and solidarities for negotiating Roma access to housing in Rome”, City, vol. 18, no. 6, p. 808–23. Ministry of Education and Science, Ministry of Labour and Social Policy and Ministry of Health (2011), Multiple Indicator Cluster Survey, Skopje. Ministry of Labour and Social Policy – Republic of Macedonia (2014), Strategy for Roma in the Republic of Macedonia 2014 – 2020, Skopje, Republic of Macedonia. Novak, J. (2004), “The Roma community and international institutions: only relative success in the protection of human and minority rights”, Migration and ethnic themes, vol. 20, no. 4, p. 403-432. O’Nions, H. (2014), “Some Europeans are more equal than others”, People, Place and Policy, vol. 8, no. 1, viewed 25 April 2017, https://goo.gl/TQq3DK. OSI, EU Monitoring and Advocacy Program (2007), Education support program Roma participation program, Equal Access to Quality Education for Roma, vol. 2. Republic of Macedonia. Packer, C. (2003), “Roma Women and Public Health Care in Sexual and Reproductive Health in a Multicultural Europe”, The European Magazine for Sexual and Reproductive Health, no. 35, WHO: Regional office for Europe. Pavić, D. (2013), “Birth Rates of Ethnic Groups in Croatia from 1998 to 2008”, Migration and Ethnic themes, vol. 29, no. 1, p. 39-62. Powell, R. and Lever, J. (2015), “Europe’s perennial “outsiders”: A processual approach to Roma stigmatization and ghettoization”, Current Sociology, viewed 20 April 2017, https://goo.gl/Wr8ASP. Ringold, D., Orenstein, A.M. and Wilken, E. (2005), Roma in an Expanding Europe: Breaking the Poverty Cycle, The World Bank, Washington, DC. Sigona, N. (2003), “‘How can a nomad be a refugee?’ Kosovo Roma and Labelling Policy in Italy”, Sociology, vol. 37, no. 1, p. 69-79. Šobot, A. (2009), “Understanding demographic realities from the gender perspective”, Demography, vol. VI, Faculty of Geography, Institute of Demography, Belgrade, p. 51-63. Sprocha, B. and Bleh, B. (2017), Does socio-spatial segregation matter? ‘Islands’ of high Romany fertility in Slovakia, Demographic research centre and center of social and psychological sciences SAS, Bratislava, Slovakia. SSORM, (2004), Census of the Population, households, and dwellings, 2002, State Statistical Office of the Republic of Macedonia, viewed 15 April 2017, www.stat.gov.mk. Stojmilov, A. and Apostolovska Toshevska, B. (2015), Socioeconomic Geography of the Republic of Macedonia, University of Ss. Cyril and Methodius, Skopje. Tosi Cambini, S. and Beluschi Fabeni, G. (2017), “Antiziganisms Ethnographic engagements in Europe”, ANUAC, vol. 6, no. 1, p. 99-117. Trbojević, S. and Bogoevska, N. (2011), “Migration, social exclusion and identity issues of Macedonian Roma”, Two Homelands, vol. 34, p. 137-147. UNFPA (2013), Adolescent pregnancy in Eastern Europe and Central Asia. United States Department of State (2009), 2008 Country Reports on Human Rights Practices – Macedonia, viewed 12 April 2017, https://goo.gl/GMtJRY. van Baar, H. (2011), “Europe’s Romaphobia: Problematization, Securitization, Nomadization”, Environment and Planning D: Society and Space, vol. 29, p. 203-212.
van Baar, H. (2012), “Socio-economic mobility and neo-liberal governmentality in post-socialist Europe: activation and the dehumanisation of the Roma”, Journal of Ethnic and Migration Studies, vol. 38, no. 2, p. 1289–304. Vašečka, M., Jurásková, M. and Nicholson, T. (2003), CACIPEN PAL O ROMA A Global Report on Roma in Slovakia, Institute for Public Affairs, Bratislava. Wertheimer Baletic, A. (1973), “Demography population and economic development”, Economic library VII circle, Informator, Zagreb.